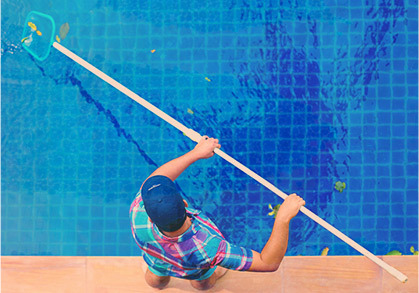 In these blogs, we have talked a lot about pool maintenance chemicals and thrown around words that you may be unfamiliar with. We thought that we would correct that and give you some explanations on what these chemicals mean to you and your pool. There are six different types of chemicals that you will need for your pool. This is what kills everything living in the pool. 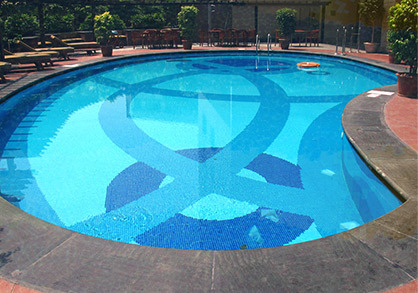 Whether that is bacteria, fungi or viruses, you need to keep these a bay so that it is safe for people to swim in and not have to worry about getting sick. Adding a bit of a sanitizer can help prevent a ton of issues down the line. Like the name suggests, this stuff kills the algae living in the pool, or at least trying to. Although algae isn’t something that normally gets someone sick, it does have the ability to cover your pool making it unappealing to you and your guests. These chemicals have the power to “burn up” junk that is left in the pool, including sweat, oils, skin cells and even urine. These are things that we know in the back of our minds that are in the pool but never really think about. It’s best to add the chemical so we don’t have to think about it. This is only three of the six different types of chemicals that you may use in your pool. Come check out our future blogs to find out the other three. 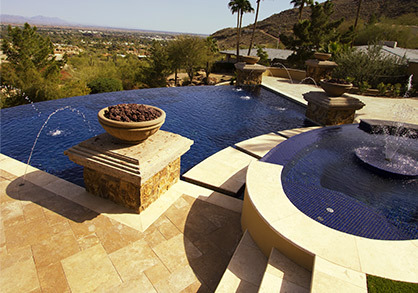 In the meantime, if you have any questions about your pool, call Goodyear’s Universal Pool Service today.